Finally an admission. An Austin Police Officer admits in court yesterday during a pre-trial hearing, that almost from the Beginning, Occupy Austin was infiltrated by Police, who acted as instigators. Officers also had role in making possible illegal device used in Occupy Houston protest. An Austin police officer has testified in a pre-trial hearing in Houston about allegations he encouraged criminal behavior as an undercover agent in the Occupy movement. We did some digging and found court documents from Houston that reveal activists’ allegations that Austin Police Department Detective Shannon Dowell pushed them to break the law. (via Austin American-Statesman) Soon after Occupy Austin protesters began their months-long demonstration at City Hall last fall, Austin police officials assigned at least three undercover officers to infiltrate the group to gather intelligence on any plans that might break the law. 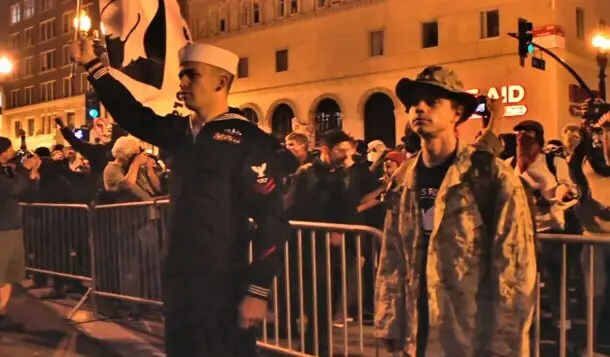 The officers camped with other participants in the movement, marched in rallies and attended strategy meetings with Occupy Austin members. 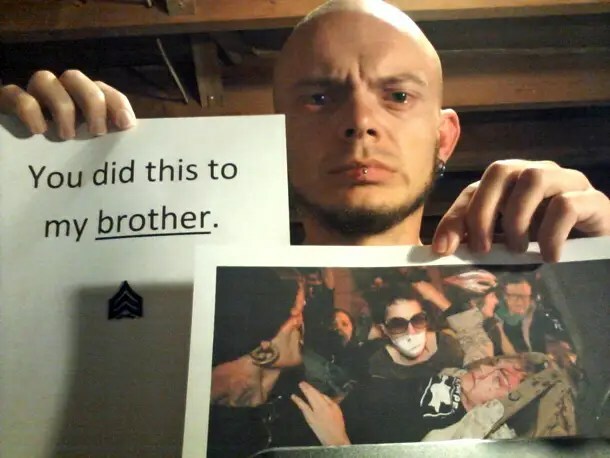 The officers also may have crossed a fine line in undercover police work: They helped plan and manufacture devices – often called “lockboxes” – that allowed Occupy members to tie themselves together during a protest in Houston, according to interviews and court records. The use of the devices, which makes it harder for police to break up human chains, resulted in Houston police filing felony charges against seven protesters who had attempted to block a port entrance in Houston on Dec. 12. The revelations include behind-the-scenes details of the lengths the Police Department went to in its efforts to monitor and control the Occupy Austin movement, which maintained a presence at City Hall for nearly five months. According to court documents, police brass up to and including Chief Art Acevedo approved the infiltration operation. Police officials confirmed the use of undercover officers in the Occupy Austin movement but declined to comment on the officers’ role in obtaining the lockbox. The infiltration operation has prompted a high-level review in the Austin Police Department. Assistant Police Chief Sean Mannix said that “we are absolutely looking into all aspects of what their undercover work was.” Mannix would not discuss the specific actions of officers but said he doesn’t think any laws or departmental policies were violated. It also was the topic of a hearing in a Harris County district court case earlier this week, in which protester Ronnie Garza is seeking to have the charges against him dropped. It’s not clear who first proposed making the lockboxes. But during the hearing, attorneys and Austin Police Detective Shannon Dowell – who wore a long black beard and was known to Occupy members as “Butch” – disclosed that Dowell had purchased PVC pipe and other materials with Occupy Austin money and delivered the finished lockboxes to group members. The devices used in the Houston protest are generally built from 5-foot lengths of 5-inch wide PVC pipe with a bolt inserted in the center. Two protesters can put their arms in the pipe and grip the bolt, making it difficult for police to pull them apart. Garza’s attorney, Greg Gladden, said the case against his client should be dismissed because Dowell and other undercover police played a central role in the charges filed against Garza. While 10 protesters who didn’t use the lockboxes were charged with lower-level misdemeanors, Harris County prosecutors charged Garza and six others with felonies, using an obscure statute that prohibits using a device that is manufactured or adapted for the purpose of participating in a crime. They face up to two years in jail. Harris County District Judge Joan Campbell, who initially dismissed the case – prosecutors then took it before a grand jury and obtained indictments – said she plans to decide next week whether the case will go forward. During a hearing Monday, she expressed frustration at Dowell, who failed to bring records to court that Gladden had subpoenaed. Dowell said he lost a small computer drive containing photos when it apparently fell out of his pocket and into the gutter of a Houston hotel where he had stayed. He added that while he had sent and received emails related to the undercover operation from his work computer, they had been deleted. Gladden was skeptical of the explanations. “I think he decided it was time the dog ate his homework,” he said. Although Campbell said she would not immediately force officials to release the names of the other undercover Austin officers Dowell worked with, she might do so in the future. Mannix said that soon after the movement started, police began receiving reports from participants and other confidential informants that some participants may have been planning to protest in illegal ways. 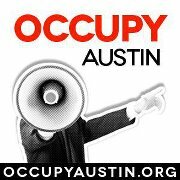 The use of undercover officers during the movement surprised some Occupy Austin protesters. During the demonstration, police had touted their relationship with the group, and Acevedo posed for photos with members. In the course of defending Garza, Gladden asked who made the lockboxes. The protesters identified a man they only knew as “Butch.” He and two friends persuaded the assembly to let them buy the materials for the lockboxes, Gladden said. Mannix defended the officers’ actions. “If a predetermination had been made that type of device was going to be used, the involved officers almost have a responsibility to ensure the safety of protesters and first responders by ensuring that the device used isn’t booby-trapped or difficult to defeat,” Mannix said. But Jim Dozier, a criminal justice professor at Sam Houston State University and former director of the Texas Commission on Law Enforcement Officer Standards and Education, said having the police officers manufacture the devices was risky. Gladden described a long sleuthing process that used social media to identify Butch. That effort began with an anonymous email to an Occupy Austin member from someone who said that Butch was a former high school classmate of his wife’s. They then tracked him to Round Rock and, finally, using a high school yearbook photo, identified him as Dowell and discovered he was an Austin police officer. Original Article by By Tony Plohetski and Eric Dexheimer of The Austin American-Statesman appears here.